A Palestinian teenager has died of his wounds a day after being shot by Israeli forces in clashes along the Gaza border, the Hamas-controlled territory's health ministry said Saturday. Most protesters were peaceful but some threw stones and burned tyres. Forty-five Palestinians have been killed by Israeli fire since the start of what organisers have dubbed the Great March of Return on March 30, with more than 1,500 wounded. The Israeli army said around 10,000 people had taken part in "riots" along the border Friday, saying troops responded with "riot dispersal means". Israel says that would mean the end of the Jewish state, and accuses Gaza's Islamist rulers Hamas of using the protests as a pretext for violence. 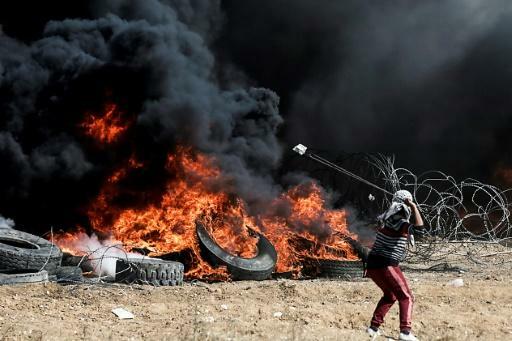 The Israeli military said that at one point on Friday protesters had used "explosive devices, hand grenades and firebombs" as they attempted a mass breach of the border fence. In what the military said was a direct response, Israeli warplanes on Friday night attacked "six military targets belonging to the Hamas terror organisation's naval force in the Gaza Strip." It did not give the location of the targets, but the Hamas interior ministry in Gaza said aircraft -- originally reported as drones -- hit Gaza's main port, damaging two boats but causing no injuries. Eyewitnesses at the port said the two boats were badly damaged. Hamas security forces prevented journalists from reaching the scene. 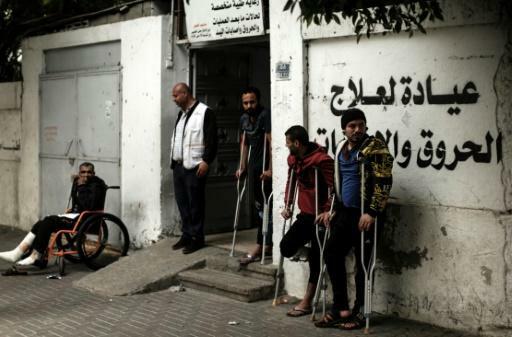 Three men were shot dead, according to Gaza's health ministry, while the Gaza Centre for Media Freedom said three journalists were among those wounded. Demonstrations are expected to spike again ahead of May 14, when the United States plans to move its embassy from Tel Aviv to Jerusalem. That came as Amnesty International called for an arms embargo against Israel over its use of live fire in Gaza. 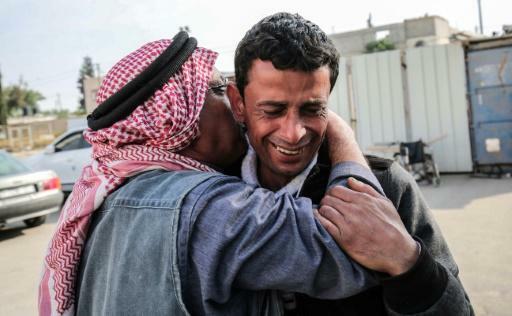 Israel has rejected calls for an independent investigation into deaths along Gaza's border. The army says its troops only use live ammunition as a last resort.